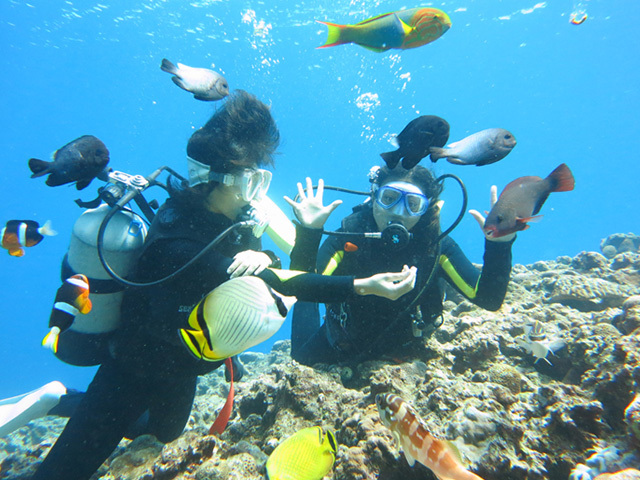 Recreational diving, diving for beginners, and snorkeling. Murunushi means "everyone is a hero" in the Okinawan native language. 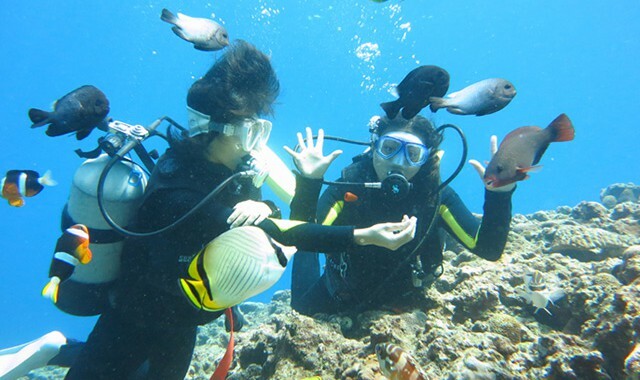 Enjoy swimming with various fish and creatures. The guides are dedicated to making every diver feel like a hero and showing everyone a great time. Only small group sessions are conducted for better quality of service and participant safety. A cozy atmosphere and friendly staff will welcome you and provide attentive services to each and every guest. The store is popular among solo divers for their friendly atmosphere. They are located on the site of Gala Aoiumi, so you can also try some of Gala Aoiumi's programs before or after your dive. A view of the East China Sea outside the window from the store is spectacular! North on 58. Left at Irami Intersection in Yomitan. 3 minutes from supermarket Kanehide.